Construction of a new multi-purpose factory and administration building outside Coleraine. 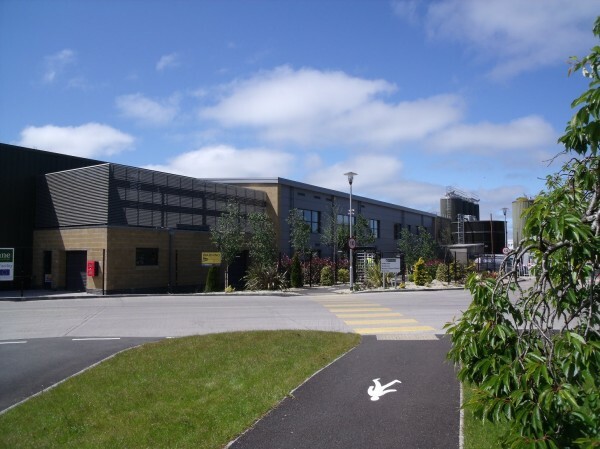 This project involved the construction of a new building to house butter production, packaging, dispatch and refrigeration linked to existing facilities and carried out at a live production facility with high volumes of production and dispatch traffic. Facilities including a new reception, meetings rooms, offices, wash rooms and a canteen were also required. This involved the construction of a new portal frame steel building with external masonry and composite metal curtain wall cladding, clad roof, stainless steel drainage floor channels and kerbs, resin floors, white hygiene insulated walls & ceilings as well as hygiene doors and an air handling system. Also included were precast concrete floor and stair units, aluminium windows and all mechanical & electrical specialist services along with associated site works. A bit more information about the the Ballyrashane Creamery project.